This is the property you have been waiting for! 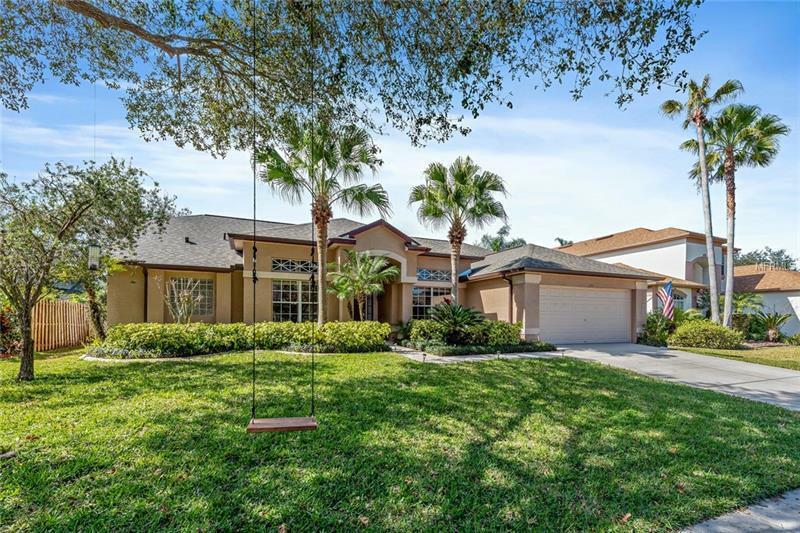 This beautifully UPDATED POOL HOME is in a serene community with LOW HOA fees and zoned for A-RATED OVIEDO SCHOOLS. Your spacious formal living and dining rooms provide a beautiful area to entertain your guests. The bright and airy OPEN FLOOR PLAN features HARDWOOD FLOORS THROUGHOUT, VAULTED CEILINGS, and plenty of entertainment space. The family chef will love the spacious kitchen with STAINLESS STEEL APPLIANCES, GRANITE COUNTERTOPS, CUSTOM TILE BACKSPLASH, a CLOSET PANTRY, and a BREAKFAST BAR. 3-WAY SPLIT PLAN delivers a PRIVATE MASTER RETREAT with a MASTER BATH boasting DUAL SINKS, GARDEN TUB, and a separate shower. **MODERN UPDATES include a NEW ROOF, NEW WATER HEATER, and an UPDATED A/C. ** Gather with guests and enjoy family cookouts in the covered lanai and spend your days lounging by the SCREENED SPARKLING POOL. Little Creek is a quiet community zoned for sought-after schools Carillon Elementary, Jackson Heights Middle, and Hagerty High. Conveniently located near Oviedo on the Park, the Oviedo Mall, Seminole State College, UCF, Research Park, Seminole State College, and much more. Easy access to Orlando, HWY 417, SR 436 & 426. Donât hesitate - you will be impressed with this move-in ready home zoned for top-rated schools!